Many people like to take their most expensive supplements, first thing in the morning on an empty stomach. This often makes people worry about just how much of their investment in supplements is actually being utilized by their body. 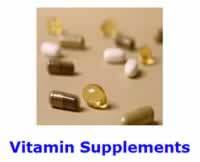 After all, how can a fat-soluble vitamin even be absorbed at all without fat in their stomach? When you take oil-soluble nutritional supplements during mealtime, they are competing along with the other nutrients contained in whole foods for absorption into the body. This is especially true for your oil-soluble nutrients, since they are absorbed in only one tiny spot in the small intestine. Taking oil-soluble nutritional supplements before mealtime. Now, there is a simple fat solution. Pure cacao, dark chocolate, bars are the perfect complement to your oil soluble supplements. Take your oil-soluble supplements by themselves, along with one tiny square of dark chocolate. This healthy chocolate melts in your mouth, contains 35% fat, and is easy on your digestion. Cacao bars are the perfect fat solution for taking alongside Vitamin K2, MK-7 supplement capsules in powdered form. Your most expensive supplements are best absorbed on a nearly empty stomach when taken an hour or two prior to breakfast. In addition, cacao provides an excellent source of many other nutrients, such as magnesium. This article was originally published on 12/13/2012.